It’s hard to believe we’ve been in Europe nearly a month. We loved our place in Utrecht. The apartment was perfect for us. Because space is at a premium here, the Europeans are very efficient in the way they organize their apartments. Both the Dutch and the Belgians are tall but the Dutch are incredibly so. 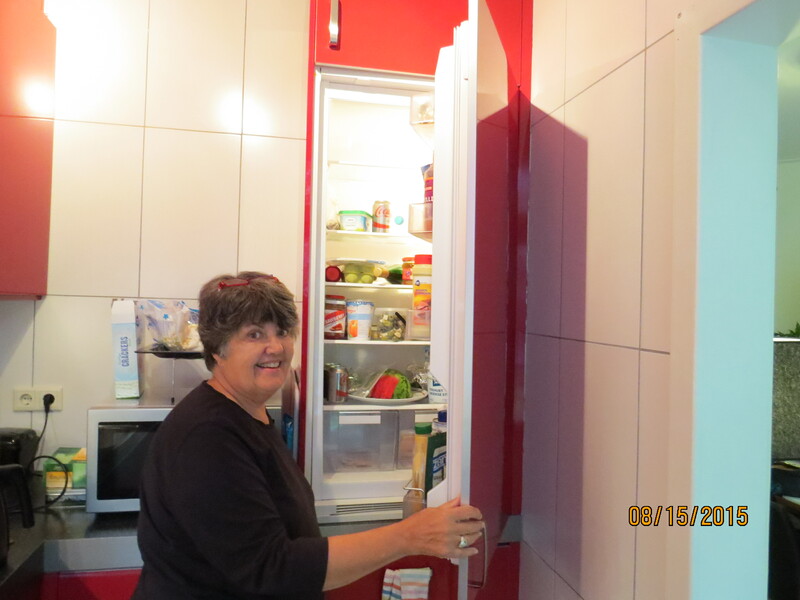 I was amazed by the height of our kitchen cabinets and refrigerator in Utrecht. I’m 5 foot 7 and there’s no way I could come close to reaching anything beyond the bottom shelf! In our current apartment, the microwave is only accessible if I stand on my tiptoes and there’s a small cupboard above that which was open when we arrived. And it will be open when we leave because neither Bob nor I can reach it. Another way we’ve noticed the height is the fact that all the bicycle seats appear to be on the highest setting possible. Because Belgium and the Netherlands are relatively small countries, I thought two weeks in each country would be an adequate stay. Instead we’re finding that probably a month would be better. After two weeks, we’re just learning the “lay of the land.” We’ve found our way to favorite areas of the city, visited the must see tourist sites, learned where a nearby grocery is located and learned a few words of the language. We need longer to absorb it all. One major hassle that we didn’t have six years ago when we visited Europe was our credit card. We have one card that we use to withdraw cash for small items (and this card has no foreign transaction charges) and a credit card for larger purchases including meals, groceries, etc. European credit cards all have chips in them in addition to a pin, making the American cards with a magnetic strip pretty antiquated in many locations. (In addition the European card is much more secure.) American cards are moving to the chip by October 2015 but even then they’ll be chip and signature not chip and pin cards. This can be a real headache! Both Bob and I love history! So of course, we had to visit Anne Frank’s House in Amsterdam (and yes, it was well worth the three hours we stood in line.) 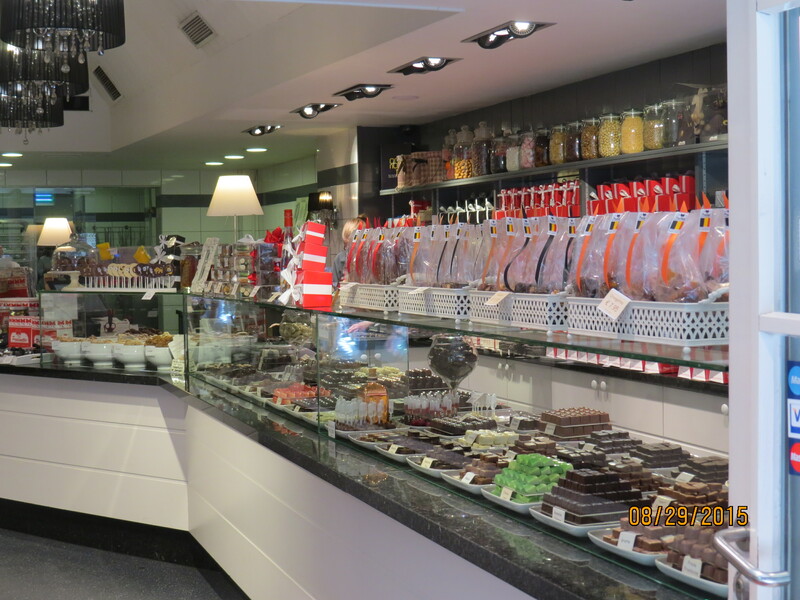 Then we spent a day last week traveling to the eastern part of Belgium where the Battle of the Bulge was fought. I have a hard time comprehending statistics. I know the Battle of the Bulge was the last major offensive on the part of the Germans in WWII. But when I read that there were 80,000 American casualties and 100,000 German casualties, the numbers seem huge beyond understanding. 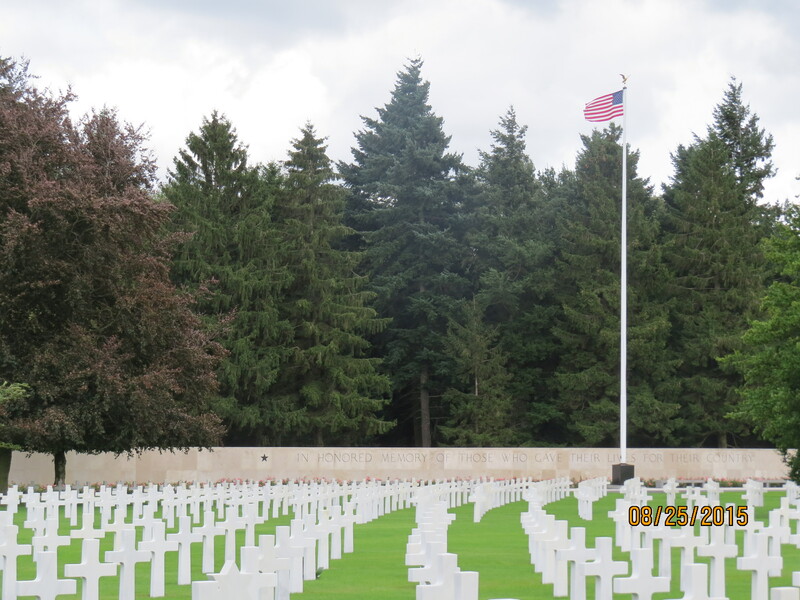 But when I stood at Henri-Chapelle American Cemetery and looked out at the row after row of crosses and stars marking the graves of individual soldiers, when we wandered through the cemetery reading their names and places they called home, the abstract became real. But we were there to learn more about World War I. 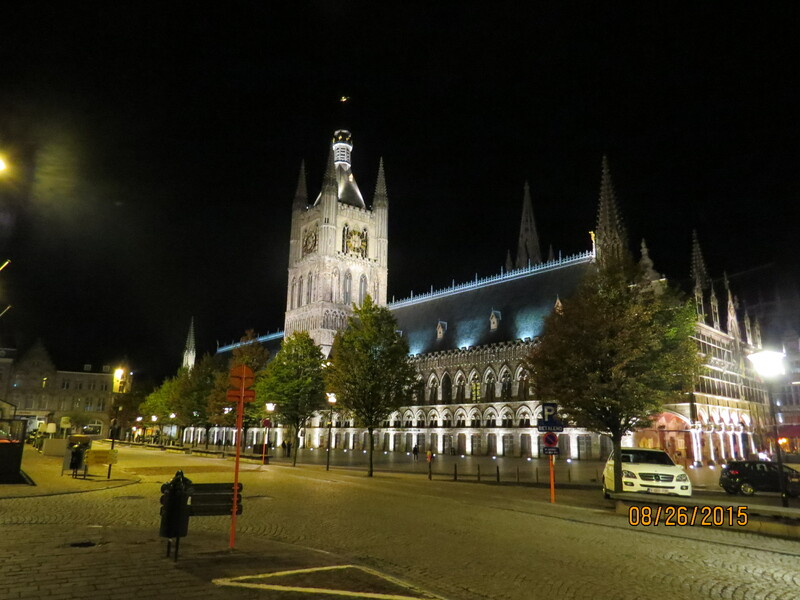 There were 3 battles at Ypres during World War I. The first in 1914, the second in 1915, and the third, the most costly, in 1917 when the total casualties from all sides were more than half a million. The Old Cloth Museum (once one of the largest commercial buildings in the 1200s) is now the In Flanders Field Museum. 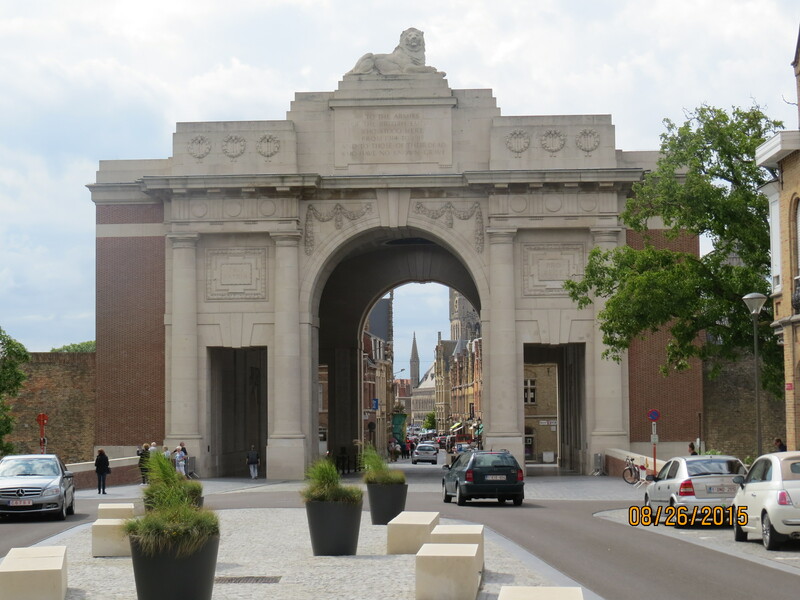 The Menin Gate Memorial to the Missing is the major landmark in Ypres. Every evening since 1928 the Last Post is sounded at the gate at precisely 8 pm remembering the 54,896 British soldiers whose graves are unknown. The ceremony was prohibited by the German forces occupying the city during World War II but began again on September 6, 1944, the day that Ypres was liberated (in spite of the fact that heavy fighting was still going on in pa rts of the city.) The rainy night we were there a small crowd gathered to witness the moving event. 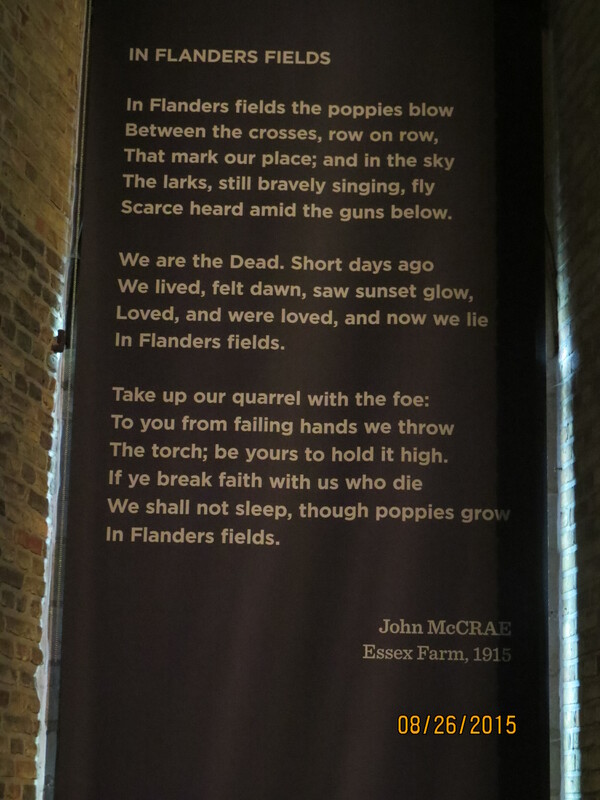 A long time ago I remember learning the poem, “In Flanders Field.” The Essex Farm Cemetery was the cemetery that many think inspired John McCrae’s poem. 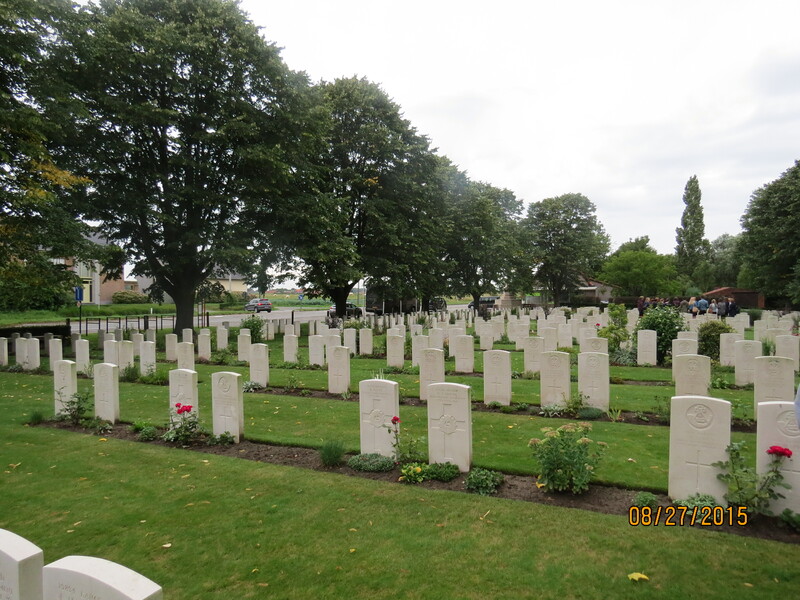 There are many British, (read that as British Empire including Canadians, Australians, New Zealanders, and others I’ve forgotten) German, French and a few American cemeteries in the area, but it was The Essex Farm Cemetery I wanted to see. It’s hard to imagine as we walked through the pastoral cemetery the horror the soldiers must have known a hundred years ago. But perhaps the greatest horror of all, is for those who survived. It would be a mere two decades before they would again, with their own children, be experiencing the same awful horrors. Whether soldier or civilian, there was no escaping the war for them. It’s like walking through history! Great to hear that you enjoyed our appartment in Utrecht so much! And fun to read about differences you experience in traffic and with payments. We now also totally understand why you got confused with our recycling scheme as we learned that you have 1 container for all recyclables in the US. Thanks, Patti, I imagine you have many of your own! Love traveling through your stories!